WHAT IS FREQUENCY MODULATION (FM) BROADCASTING? The monophonic system of FM broadcasting was developed to allow sound transmission of voice and music for reception by the general public for audio frequencies from 50 to 15,000 Hz, all to be contained within a +/−75-kHz RF bandwidth. This technique provided higher fidelity reception than was available with standard broadcast AM along with less received noise and interference. FM broadcasting in the U.S. is allocated the 88–108 MHz frequency band. Pre-emphasis is employed in anFMbroadcast transmitter to improve the received signal-to-noise ratio. The pre-emphasis upper-frequency limit is based on a time constant of 75 μs as required by the FCC for FM broadcast transmitters. Audio frequencies from 50 to 2120 Hz are transmitted with normal FM; whereas audio frequencies from 2120 Hz to 15 kHz are emphasized with a larger modulation index. There is significant signal-to-noise improvement at the receiver, which is equipped with a matching de-emphasis circuit. 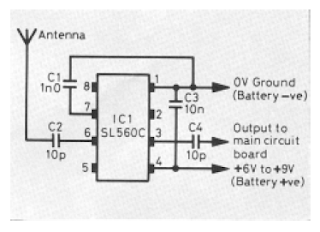 CIRCUIT ON HOW TO MAKE LEAD ACID BATTERY CHARGER? Thic circuit furnishes an initial voltage of 2.5 Volts per cell at 25 degrees celcius to rapidly charge a battery. The LM301A compares the voltage drop across R1 with an mV referenced set by R2. The LM 334 temperature sensor should be placed by near or on the battery to decrease the charging voltage by 4 mV/ deg cel for each cell. The Electroscope. It has been shown experimentally that an electric charge can be detected because it attracts light objects such as pith balls, bits of paper, etc. Any device used for detecting electric charges is called an electroscope. In its simplest form, an electroscope consists of a pith ball hanging on the end of a silk thread. By touching it with a body of a known charge, you have an instrument that can detect charged bodies and that can indicate the type of charge (polarity). To illustrate, if you touch the pith ball with a glass rod, which has been rubbed with silk, you charge the pith ball positively. Any other charged body that is brought near the pith ball will repel it if the body is positive or attract it if the body is negative. The force of repulsion or attraction indicates the strength of the field surrounding the charged bodies. A better and more sensitive device is the leaf electroscope shown in figure 1-7. It is two thin sheets of metal foil (usually gold or aluminum) called leaves, supported by a wire or stem whose ends pass through a block of sealing wax or insulating material to a metal ball or cap. The leaves are usually sealed in a glass container to prevent air currents and moisture from affecting the instrument. The sensitivity of the instrument depends on several factors, the main two being the thickness and the type of material the leaves are made of. If the ball receives either a positive or a negative charge, it causes the leaves to spread apart. The leaves spread because like charges repel. When a charge of positive electricity is placed on the leaves, the spread of the leaves will increase when the ball is approached by a positively charged body. On the other hand, a negatively charged body brought near the ball or cap will decrease the spread. You can place a charge on the leaves by bringing a charged body near, but without making physical contact with, the ball. This is charging by induction. As soon as you remove the charged body, the electroscope is no longer charged unless you provided some means for it to gain or to lose some electrons while the charge was being induced. You can do this by connecting a wire from the electroscope to some neutral conducting object, such as ground. Then, if a charged body is brought near the electroscope, electrons can leave if the charge is negative or enter if the charge is positive. If the wire is disconnected before the charged body is removed, the electroscope will remain charged oppositely to the charge that induced it. This is charging by conduction because the electroscope comes into direct contact with the charged body. HOW TO MAKE SINE WAVE GENERATOR? squarewave signals from sine wave, but reproducing sinewave signals from the square wave is quite difficult. In case of static squarewave-to-sinewave converter, in low frequency range, we can get accurate sine wave, but in high frequency range the shape will not be a true sine wave. Here is a solution to that problem. The circuit shown here uses five ICs. The squarewave signal is fed at pin 1 of IC1 (CD 4024). IC1 is a 7-bit counter, but here only 6 bits are made use of. The first four bits are fed as a signal bus to IC3 (CD4066) quad bilateral switch through IC2 (CD4077B) that contains four exclusive NOR gates. It converts the 4-bit signal bus to ‘up mode’ and ‘down mode’ hexadecimal signals, simultaneously. The converted signal bus switches on and off the ladder switches inside CD4066. As a result, the net resistance of ladder varies. 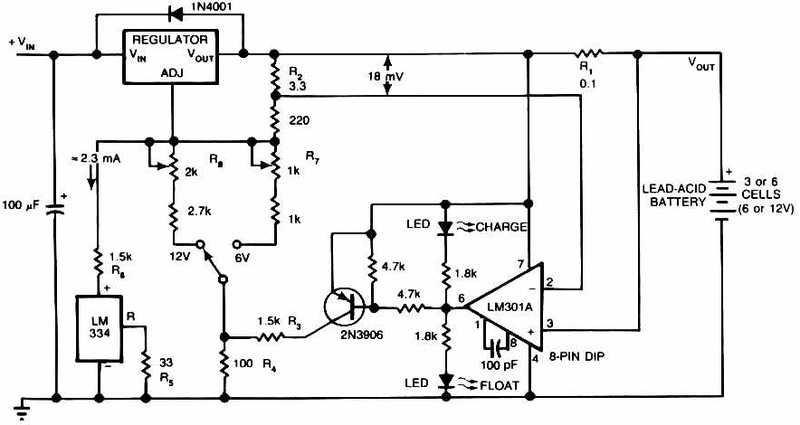 This varying resistance varies the charging and discharging current of capacitor C1 in the feedback path of IC5 (LM741). The charging and discharging mode is controlled by IC4 (CD4011). 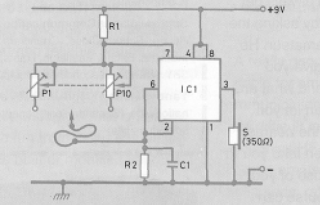 In fact, capacitor C1 works as an integrator. The sinewave producing circuit needs 64- bit squarewave pulse for360o sine wave. A missing pulse in this 64-bit sequence produces ramp. 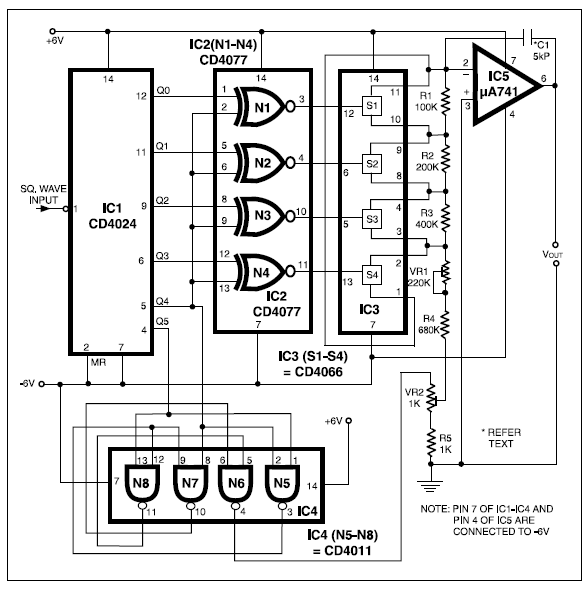 In this circuit, all ICs except IC5 are CMOS ICs and hence the current consumption is very low. The value of capacitor C1 may be calculated from the relationship: C1 = 0.27/f0 μF. The value shown in the circuit is for 50Hz output frequency. The shape of the sinewave output may be corrected using presets VR1 and VR2. Thyristors (or silicon controlled rectifiers) are three-terminal devices which can be used for switching and a.c. power control. Thyristors can switch very rapidly from a conducting to a nonconducting state. In the off state, the thyristor exhibits negligible leakage current, while in the on state the device exhibits very low resistance. This results in very little power loss within the thyristor even when appreciable power levels are being controlled. Once switched into the conducting state, the thyristor will remain conducting (i.e. it is latched in the on state) until the forward current is removed from the device. In d.c. applications this necessitates the interruption (or disconnection) of the supply before the device can be reset into its non-conducting state. Where the device is used with an alternating supply, the device will automatically become reset whenever the main supply reverses. The device can then be triggered on the next half-cycle having correct polarity to permit conduction. Like their conventional silicon diode counterparts, thyristors have anode and cathode connections; control is applied by means of a gate terminal (see Fig. 5.13). The device is triggered into the conducting (on state) by means of the application of a current pulse to this terminal. 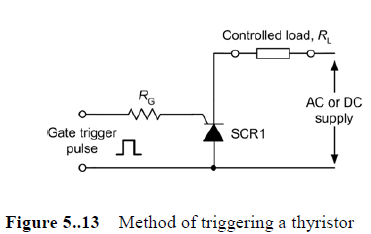 The effective triggering of a thyristor requires a gate trigger pulse having a fast rise time derived from a low-resistance source. Triggering can become erratic when insufficient gate current is available or when the gate current changes slowly. 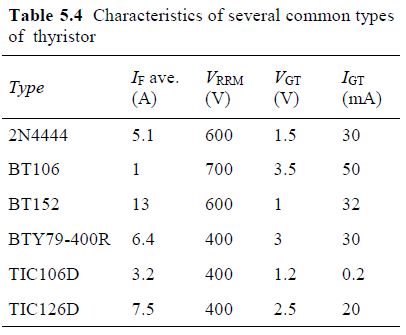 Table 5.4 summarizes the characteristics of several common thyristors. Semiconductors are a category of materials with an electrical conductivity that is between that of conductors and insulators. Good conductors, which are all metals, have electrical resistivities down in the range of 10−6 -cm. Insulators have electrical resistivities that are up in the range from 10^6 to as much as about 1012 -cm. Semiconductors have resistivities that are generally in the range of 10^−4 up to 10^ 4 ohm-cm. The resistivity of a semiconductor is strongly influenced by impurities, called dopants, that are purposely added to the material to change the electronic characteristics. We will first consider the case of the pure, or intrinsic semiconductor. As a result of the thermal energy present in the material, electrons can break loose from covalent bonds and become free electrons able to move through the solid and contribute to the electrical conductivity. The covalent bonds left behind have an electron vacancy called a hole. Electrons from neighboring covalent bonds can easily move into an adjacent bond with an electron vacancy, or hole, and thus the hold can move from one covalent bond to an adjacent bond. As this process continues, we can say that the hole is moving through the material. These holes act as if they have a positive charge equal in magnitude to the electron charge, and they can also contribute to the electrical conductivity. Thus, in a semiconductor there are two types of mobile electrical charge carriers that can contribute to the electrical conductivity, the free electrons and the holes. Since the electrons and holes are generated in equal numbers, and recombine in equal numbers, the free electron and hole populations are equal. In the extrinsic or doped semiconductor, impurities are purposely added to modify the electronic characteristics. In the case of silicon, every silicon atom shares its four valence electrons with each of its four nearest neighbors in covalent bonds. If an impurity or dopant atom with a valency of five, such as phosphorus, is substituted for silicon, four of the five valence electrons of the dopant atom will be held in covalent bonds. The extra, or fifth electron will not be in a covalent bond, and is loosely held. At room temperature, almost all of these extra electrons will have broken loose from their parent atoms, and become free electrons. These pentavalent dopants thus donate free electrons to the semiconductor and are called donors. These donated electrons upset the balance between the electron and hole populations, so there are now more electrons than holes. This is now called an N-type semiconductor, in which the electrons are the majority carriers, and holes are the minority carriers. In an N-type semiconductor the free electron concentration is generally many orders of magnitude larger than the hole concentration. If an impurity or dopant atom with a valency of three, such as boron, is substituted for silicon, three of the four valence electrons of the dopant atom will be held in covalent bonds. One of the covalent bonds will be missing an electron. An electron from a neighboring silicon-to-silicon covalent bond, however, can easily jump into this electron vacancy, thereby creating a vacancy, or hole, in the silicon-to-silicon covalent bond. Thus, these trivalent dopants accept free electrons, thereby generating holes, and are called acceptors. These additional holes upset the balance between the electron and hole populations, and so there are now more holes than electrons. This is called a P-type semiconductor, in which the holes are the majority carriers, and the electrons are the minority carriers. In a P-type semiconductor the hole concentration is generally many orders of magnitude larger than the electron concentration. As a result of the concentration difference of the free electrons and holes there will be an initial flow of these charge carriers across the junction, which will result in the N-type side attaining a net positive charge with respect to the P-type side. This results in the formation of an electric potential hill or barrier at the junction. Under equilibrium conditions the height of this potential hill, called the contact potential is such that the flow of the majority carrier holes from the P-type side up the hill to the N-type side is reduced to the extent that it becomes equal to the flow of the minority carrier holes from the N-type side down the hill to the P-type side. Similarly, the flow of the majority carrier free electrons from the N-type side is reduced to the extent that it becomes equal to the flow of the minority carrier electrons from the P-type side. Thus, the net current flow across the junction under equilibrium conditions is zero. Developing a theory of antenna radiation requires many simplifications. Designing radiating antennas is not the aim of this book. Our interests relate to the field strengths of existing transmitters (interference), the fields that are inadvertently radiated by circuits and the impact of radiation that enters a circuit. The analysis of a dipole antenna starts out by dividing the antenna into individual current elements. These elements of current cannot exist any more than the element of current that was used to explain magnetics. This dipole element has zero resistance and zero diameter, a very neat trick indeed. To simplify the problem, the current in the dipole element is assumed to be sinusoidal at the frequency of interest. transmission line connected to the root or grounded end of the antenna. Each element of antenna current contributes to the radiation of the total antenna. The field around the antenna is current flowing in the capacitances of space. This goes back to the statement that a changing E field is a current in space. This changing current further implies an H field. Note that the field energy flowing out of the transmission line flows onto the antenna. In the space around the antenna, both the E and H fields intensity are changing as a function of height and radial distance. At the tip of the antenna, the current flow is zero. In the analysis the current pattern follows a half sine wave from the root of the antenna to the tip. The energy in this antenna field is leaving and returning to the antenna at the same time. There is a net transfer of energy into space that does not return. Theoretically, Poynting’s vector can be used to determine the net energy that flows past any surface area that surrounds the antenna. If there is a good impedance match at the end of the transmission line, no energy will reflect back on the transmission line. 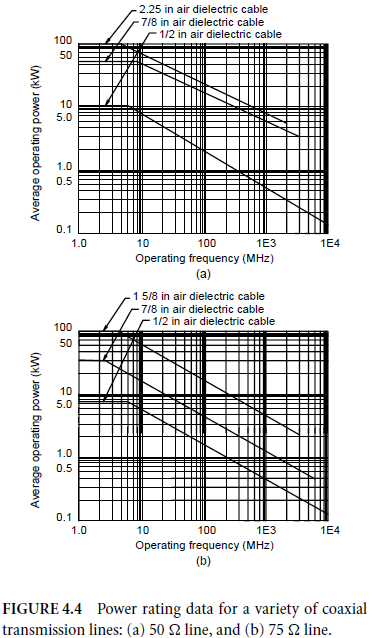 Matching the transmission line to the antenna is a major consideration in antenna design. The current flow in the antenna causes an E and H field that diminishes in intensity with distance from the antenna. The ratio of the E-field intensity to the H-field intensity far from the antenna is a constant. This constant is known as the impedance of free space. The ratio of E to H is 377 OHMS when the waves have little curvature. Near the antenna, the ratio of E to H is dominated by the E field. This type of field is said to be a high impedance electric field. A distance of ¸ALPHA/ 2PI from the antenna is called the near-field/far-field interface. At 1 MHz the wavelength ¸ is 300 m. This is the distance a wave travels in free space at the speed of light for 1 MICROSECONDS (the speed of light is approximately 300,000,000 m/s). 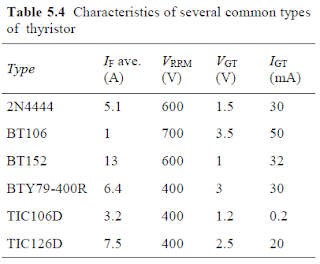 Beyond 50 m the ratio of E to H is 377 OHMS . Beyond this distance both fields fall off linearly with distance and the radiation takes on a character known as a plane wave even though there is always some curvature to the wave. Assume that the interface distance is 100 m and that the E field at this point is 10 V=m; then the field strength is 5 V=m at 200 m. At this distance the H field is 5=377 A=m. Beyond the interface distance the wave is always considered a plane wave. Inside the interface distance the ratio of E field to H field increases linearly. Near the dipole the field is said to be a high impedance E field. Very close to the antenna the E and H field intensities are complex in nature and the ratio of E to H does not follow a simple set of rules. The E field inside the near-field/far-field interface can be calculated as follows. Assume that the interface distance is 100 m and the E field is 10 V=m at this distance. At 50 m the wave impedance is doubled. The power crossing the two spherical surfaces must be equal. This requires the E field must increase by a factor of $2 and the H field must decrease by a factor SQRT OF 2. At this distance the ratio of E to H is 377 X 2 OHMS. HOW TO MAKE A VEHICLE SECURITY SYSTEM ALARM? This alarm gives a 15-20 second exit and entrance delay. After being triggered, the alarm sounds for five minuted and then shuts off. Once triggered, the sequence is automatic and not affected by subsequent opening or closing of doors. You might wonder why the 8051 family of processors was chosen for this purpose, as it is a relatively old processor. If you read current technical journal articles, you might get the impression that all the action is in 32-bit micros. That is primarily due to the fact that the companies that sell the high-end devices are working very hard to put their newest technology in front of their\ customers, and they are the ones who write most of the trade articles. It is important to note that the trade press is always emphasizing the high end 16-bit, 32-bit, and larger processors due to their dependence on the advertising revenue from chip vendors. Though you would never guess it from reading these publications, it is only recently that shipments of 8-bit microcontrollers have exceeded 4-bit units. It will be quite some time before the 16-bit micros will approach the sales volume the 8-bit units have reached, and the 8-bit units are still growing in volume. According to one of the leading industry publications, there are more 8051 derivative CPU chips being produced than any other 8-bit micro. Once you have learned the concepts of the 8051, you will find that the next architecture you need to use will be much easier to learn. • Interfacing to the processor’s multiplexed address/data bus provides valuable design experience. • Development tools, including assemblers, simulators and compilers are readily available as freeware shareware and demo versions. • It is available at a low cost, allowing low cost versions of in-circuit emulators, peripheral components, and single board computers to be purchased by the student. • The 8051 is the most popular microcontroller family, with many derivatives available, and multiple vendors manufacture it. • The 8051 architecture is available in a wide range of cost, size, and performance. For example, one version is available in a 20-pin small outline surface mount package for less than a dollar in volume, and another one is about eight to ten times the speed of the original 8051. • The 8051 CPU is also available as a building block for custom chip designs, and is the most popular CPU for “system on a chip” designs. It is also the only readily available, non-proprietary building block CPU architecture available for chip design. Software tools for the 8051 family, such as assemblers, compilers and simulators are available at no cost on the internet. Hardware tools, such as the combination software development kit and in-circuit emulator, are available for under $100, and complete design documentation is available on the web to allow anyone to build their own. In addition, the 8051 has the simplest timing specifications of a device which can address external memory, making it practical to go into the details of the design which are necessary to understand. With less than two dozen timing specifications (compared to several times as many for most other equivalent processors), it is possible to cover the timing specifications in detail. Once this process is understood, it is a straightforward jump to understanding and using the larger number of equivalent specifications characteristic of other devices. The telephone arrived as a practical instrument over a century ago in 1876, an outgrowth of experiments on a device to send multiple telegraph signals over a single wire. Alexander Graham Bell, a native of Scotland, while conducting electrical experiments spilled acid on his trousers. His reaction, the now-famous “Mr. Watson, come here, I want you,” brought Thomas A. Watson on the run not only because of his employer‘s distress, but because the words had been carried by electricity into Watson’s room and reproduced clearly on his receiving set. The simple instrument being tested on Court Street in Boston on March 10, 1876, wasn’t very practical (the acid was used in the system), but improvement followed so rapidly that putting into action Bell’s concept of a public telephone network-“this grand system . . . whereby a man in one part of the country may communicate by word of mouth with another in a distant place”-was well under way by January 1878, when the first commercial exchange was operated in New Haven. By 1907, one hotel alone (the Waldorf Astoria in New York City) had 1,120 telephones and processed 500,000 calls per year. The American Telephone and Telegraph Company (AT&T) was incorporated in March 1885 to manage the explosive growth of the fledgling telephone network across the United States. Virtually since the beginning, AT&T worked as a legal, regulated monopoly. This means that AT&T was allowed to establish, maintain, and control a single, universal network across the country without any competition, as well as provide all telephone sets and switching equipment to the general public. The federal government regulated its policies, practices, and fees. This set the groundwork for the development of the most advanced and efficient telecommunications system in the world. 1. It requests the use of the telephone system when the handset is lifted. 2. It indicates that the system is ready for use by receiving a tone, called the dial tone. 3. It sends the number of the telephone to be called to the system. This number is initiated by the caller when the number is pressed (or the dial is rotated in older telephones). 4. It indicates the state of a call in progress by receiving tones indicating the status (ringing, busy, etc.). 5. It indicates an incoming call to the called telephone by ringing bells or other audible tones. a distant party to speech for the called party. 7. It automatically adjusts for changes in the power supplied to it. 8. It signals the system that a call is finished when a caller “hangs up’’ the handset. Of course, for a telephone to be of any use, it must be connected to another telephone. In the very early days of telephony, the phones were simply wired together with no switching. As the number of phones increased this became impractical, so the local exchange or central office was established to handle the switching and other functions. WHAT IS THE EVOLUTION OF MICROPROCESSORS? The evolution of microprocessors has been known to follow Moore’s law, which suggests that the complexity of an integrated circuit, with respect to the minimum component cost, doubles every 24 months. This rule has been generally followed, since the humble beginning of microprocessors as the drivers for calculators to the present-day scenario where every system, from the largest mainframes to the smallest handheld computers, uses a microprocessor at its core. The first microprocessor was introduced in 1971 by the Intel Corporation. It was a four-bit microprocessor, Intel 4004. Other four-bit microprocessors developed were Intel 4040 by Intel, PPS-4 by Rockwell International, T3472 by Toshiba and so on. The first eight-bit microprocessor, named Intel 8008, was also developed by Intel in the year 1972. All these microprocessors were made using PMOS technology. The first microprocessor using NMOS technology was Intel 8080, developed by Intel in the year 1973. Intel 8080 was followed by Intel 8085 in the year 1975, which became very popular. Other popular eight-bit microprocessors were Zilog’s Z80 (1976) and Z800, Motorola’s MC6800 (1974) and MC6809 (1978), National Semiconductor’s NSC 800, RCA’s 1802 (1976) and so on. The first multichip 16-bit microprocessor was National Semiconductor’s IMP-16, introduced in 1973. The first 16-bit single-chip microprocessor was Texas Instrument’s TMS 9900. Intel’s first 16-bit microprocessor was Intel 8086 introduced in the year 1978. Other 16-bit microprocessors developed by Intel were Intel 80186 (1982), Intel 8088, Intel 80188 and Intel 80286 (1982). Other popular 16-bit microprocessors include Motorola’s 68000 (1979), 68010 and 68012, Zilog’s Z8000, Texas Instruments TMS 9900 series and so on. 32-bit microprocessors came into existence in the 1980s. The world’s first single-chip 32-bit microprocessor was introduced by AT&T Bell Labs in the year 1980. It was named BELLMAC- 32A. The first 32-bit processor introduced by Intel was iapx 432, introduced in 1981. The more popular 32-bit microprocessor was Intel 80386, introduced by Intel in 1985. It was widely used for desktop computers. The 32-bit microprocessor family of Intel includes Intel 486, Pentium, Pentium Pro, Pentium II, Pentium III and Pentium IV. AMD’s K5, K6 and K7, Motorola’s 68020 (1985), 68030 and 68040, National Semiconductor’s 32032 and 32332 and Zilog’s Z80000 are other popular 32-bit microprocessors. All these microprocessors are based on CISC (Complex Instruction Set Computers) architecture. The first commercial RISC (Reduced Instruction Set Computers) design was released by MIPS Technologies, the 32-bit R2000. Some of the popular RISC processors include Intel’s 80860 and 80960, Motorola’s 88100 and Motorola’s, IBM and Apple’s PowerPC series of microprocessors. While 64-bit microprocessor designs have been in use in several markets since the early 1990s, the early 2000s have seen the introduction of 64-bit microchips targeted at the PC market. Some of the popular 64-bit microprocessors are AMD’s AMD64 (2003) and Intel’s x86-64 chips. Popular 64-bit RISC processors include SUN’s ULTRASPARC, PowerPC 620, Intel’s Itanium, MIPS R4000, R5000, R10000 and R12000 and so on. HOW TO MAKE A SIMPLE ELECTRONIC ORGAN? It uses the popular NE555 integrated circuit, which contains a circuit which will periodically switch the voltage on the output pin between the supply voltage and zero. Just how frequently this switching occurs depends upon the components external to the integrated circuit. Check first that each component is in the correct place. When inserting the NE555 chip, first make sure that the end carrying the notch lies over the end of the holder with the notch; then, make sure each pin of the chip lies directly above the hole into which it fits, before pressing gently to insert the chip into the socket. Make sure the battery connections are correct, and insert the battery into the clip. Nothing should happen, except for a click from the loudspeaker; touching the spade on any of the pins should produce a coarse note from the speaker. If nothing happens, check everything again; don’t assume that wires go where you think they go! After you get the first note, all the others should work, too, but they will sound off-tune at first. The organ needs tuning up by adjusting the 10 preset variable resistors P1 to P10. If you have a piano, the organ can be tuned by comparison of the notes with those on the piano. The frequencies are given in Hertz (abbreviation Hz), and represent the number of times the IC switches on and off every second. If the sound coming from the loudspeaker is too loud or very distorted, then try putting an 330 resistor (colour code orange, orange, brown) in series with the loudspeaker. This is done by taking the resistor and cutting its leads to about 5 mm; then, disconnect one speaker lead from the tab on the PCB (it doesn’t matter which). Solder one end of the resistor to the vacated speaker tab, and the free speaker lead to the other end of the resistor. This will limit the volume of sound from the speaker, and lengthen the life of your battery. If it is still too loud, try a resistor of a larger value, or use a smaller resistor to make it louder. HOW TO MAKE A GAS LEAKAGE ALARM? 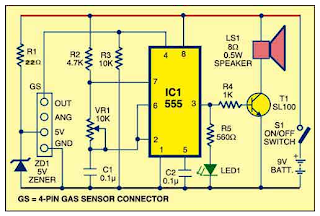 This is a basic electronic project of Gas Leakage Alarm, using a SEN-1327. 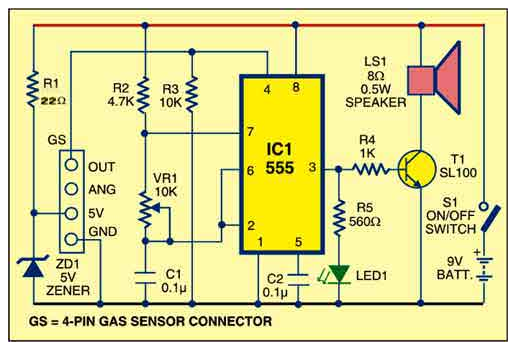 The circuit diagram below shows the circuit of the gas leakage alarm. The circuit operates off a 9V PP3 battery. Zener diode ZD1 is used to convert 9V into 5V DC to drive the gas sensor module. The SEN-1327 gas sensor module from RhydoLABZ is used in this circuit. Its output goes high when the gas level reaches or exceeds certain point. A preset in the module is used to set the threshold. Interfacing with the sensor module is done through a 4-pin SIP header. An MQ-6 gas sensor is used in the gas sensor module. As per its datasheet, it has high sensitivity to propane, butane, isobutene, LPG and natural gas. The sensor can also be used to detect combustible gases, especially methane. 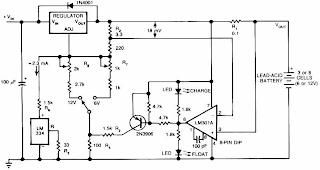 This circuit has been tested with LPG gas and was found to work satisfactorily. Whenever there is LPG concentration of 1000 ppm (parts per million) in the area, the OUT pin of the sensor module goes high. 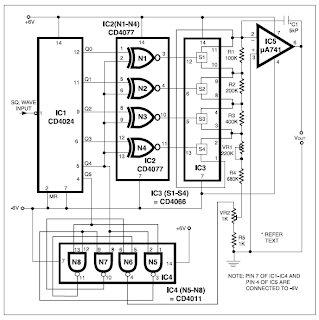 This signal drives timer IC 555, which is wired as an astable multivibrator. The multivibrator basically works as a tone generator. 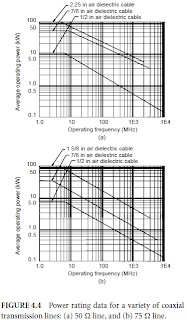 where E pk is the cable peak power rating in kilowatts, Pt is the transmitter power in kilowatts, M is the amplitude modulation percentage expressed decimally (100%=1.0), and VSWR is the voltage standing wave ratio. Pressurizationwith high-density gases can be used to increase both the average power and the peak power ratings of a transmission line. 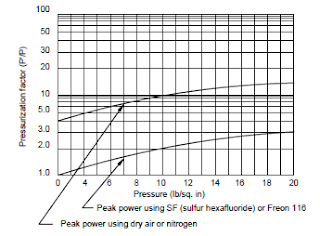 For a given line pressure, the increased power rating is more significant for peak power than for average power. High-density gases used for such applications include Freon 116 and sulfur hexafluoride. 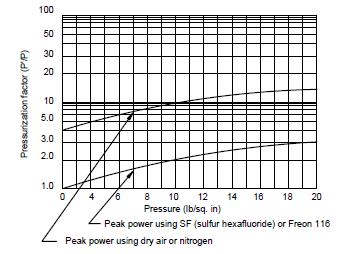 Figure 4.5 illustrates the effects of pressurization on cable power rating. An adequate safety factor is necessary for peak and average power ratings. Most transmission lines are tested at two or more times their rated peak power before shipment to the customer. This safety factor is intended as a provision for transmitter transients, lightning-induced effects, and high voltage excursions resulting from unforeseen operating conditions. 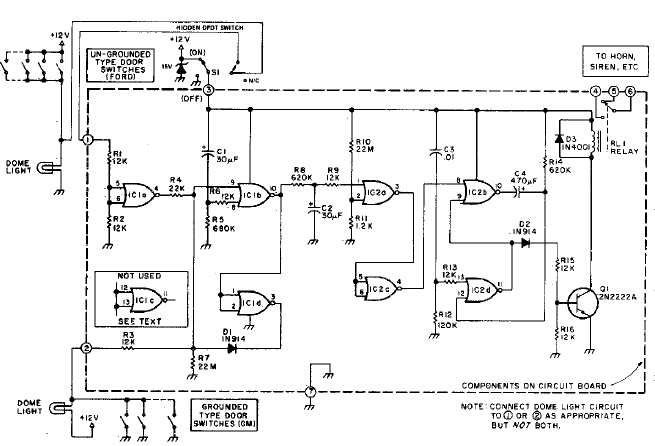 HOW TO MAKE 2M RECEIVER PRE AMPLIFIER? Designed specifically to complement the modified air-band portable (also described in this series), this can be used with some success on many receivers suffering from ‘deafness’ on VHF. An RF preamplifier is a device which improves the input signal to an existing receiver, enabling it to work more effectively. Because of the noise which is added to the signal by the preamplifier, very weak signals may not be usefully enhanced, but stronger signals will be improved considerably. This little circuit (shown in Figure 1) uses a GEC/Plessey integrated circuit type SL560C. With the addition of four capacitors, it is used between your aerial and the aerial input of the radio’s PCB. 1. Use a small piece of prototype (matrix) board about 25 mm square. Use an 8-pin DIL socket for the integrated circuit (don’t risk soldering the chip – it is seldom a risk worth taking). Figure 1 shows the connections to the socket, looking from underneath. 2. Make special note of the pin numbers, so that you know how to put the chip into the socket when you have finished. 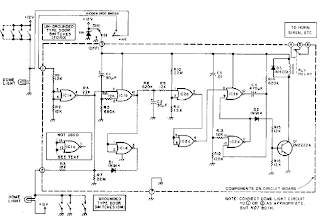 The positive and negative connections to the circuit are taken from the main PCB after the ON/ OFF switch – so that the switch operates the preamplifier, too. 3. Unsolder the lead to the radio’s telescopic aerial and connect it to the free end of C4, as shown. Then solder a short lead between the telescopic aerial and C2. 4. Sometimes it is possible to cajole your little preamplifier into the radio’s plastic case, provided there is room and that you make sure that none of the soldered joints on your little board touch any of the metal inside the case when you replace the back and screw it on again. perhaps using screened cable. Because your preamplifier is untuned, you will find not only that it helps with reception on 2 metres, but also that reception on the FM broadcast band is improved! The ASCII (American Standard Code for Information Interchange), pronounced ‘ask-ee’, is strictly a seven-bit code based on the English alphabet. ASCII codes are used to represent alphanumeric data in computers, communications equipment and other related devices. The code was first published as a standard in 1967. It was subsequently updated and published as ANSI X3.4-1968, then as ANSI X3.4-1977 and finally as ANSI X3.4-1986. Since it is a seven-bit code, it can at the most represent 128 characters. It currently defines 95 printable characters including 26 upper-case letters (A to Z), 26 lower-case letters (a to z), 10 numerals (0 to 9) and 33 special characters including mathematical symbols, punctuation marks and space character. In addition, it defines codes for 33 nonprinting, mostly obsolete control characters that affect how text is processed. With the exception of ‘carriage return’ and/or ‘line feed’, all other characters have been rendered obsolete by modern mark-up languages and communication protocols, the shift from text-based devices to graphical devices and the elimination of teleprinters, punch cards and paper tapes. An eight-bit version of the ASCII code, known as US ASCII-8 or ASCII-8, has also been developed. The eight-bit version can represent a maximum of 256 characters. 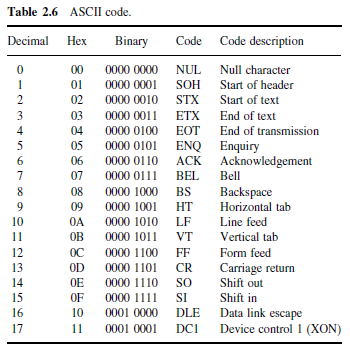 Table 2.6 lists the ASCII codes for all 128 characters. When the ASCII code was introduced, many computers dealt with eight-bit groups (or bytes) as the smallest unit of information. The eighth bit was commonly used as a parity bit for error detection on communication lines and other device-specific functions. Machines that did not use the parity bit typically set the eighth bit to ‘0’. Looking at the structural features of the code as reflected in Table 2.6, we can see that the digits 0 to 9 are represented with their binary values prefixed with 0011. That is, numerals 0 to 9 are represented by binary sequences from 0011 0000 to 0011 1001 respectively. Also, lower-case and upper-case letters differ in bit pattern by a single bit. While upper-case letters ‘A’ to ‘O’ are represented by 0100 0001 to 0100 1111, lower-case letters ‘a’ to ‘o’ are represented by 0110 0001 to 0110 1111. Similarly, while upper-case letters ‘P’ to ‘Z’ are represented by 0101 0000 to 0101 1010, lower-case letters ‘p’ to ‘z’ are represented by 0111 0000 to 0111 1010. With widespread use of computer technology, many variants of the ASCII code have evolved over the years to facilitate the expression of non-English languages that use a Roman-based alphabet. In some of these variants, all ASCII printable characters are identical to their seven-bit ASCII code representations. 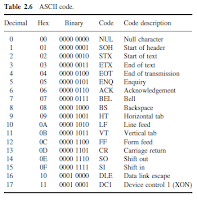 For example, the eight-bit standard ISO/IEC 8859 was developed as a true extension of ASCII, leaving the original character mapping intact in the process of inclusion of additional values. This made possible representation of a broader range of languages. In spite of the standard suffering from incompatibilities and limitations, ISO-8859-1, its variant Windows-1252 and the original seven-bit ASCII continue to be the most common character encodings in use today. In the case of packed BCD numbers, two BCD digits are stored in a single eight-bit register. The process of combining two BCD digits so that they are stored in one eight-bit register involves shifting the number in the upper register to the left 4 times and then adding the numbers in the upper and lower registers. • Decimal digit 5 is initially stored in the eight-bit register as: 0000 0101. • Decimal digit 7 is initially stored in the eight-bit register as: 0000 0111. • After shifting to the left 4 times, the digit 5 register reads: 0101 0000. • The addition of the contents of the digit 5 and digit 7 registers now reads: 0101 0111. How many bits would be required to encode decimal numbers 0 to 9999 in straight binary and BCD codes? What would be the BCD equivalent of decimal 27 in 16-bit representation? • Total number of decimals to be represented=10 000=104 =213 29. • Therefore, the number of bits required for straight binary encoding=14. • The number of bits required for BCD encoding=16. • The BCD equivalent of 27 in 16-bit representation=0000000000100111. The hexadecimal number system is a radix-16 number system and its 16 basic digits are 0, 1, 2, 3, 4, 5, 6, 7, 8, 9, A, B, C, D, E and F. The place values or weights of different digits in a mixed hexadecimal number are 160, 161, 162 and so on (for the integer part) and 16−1, 16−2, 16−3 and so on (for the fractional part). The decimal equivalent of A, B, C, D, E and F are 10, 11, 12, 13, 14 and 15 respectively, for obvious reasons. 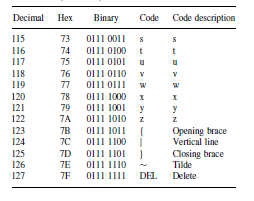 The hexadecimal number system provides a condensed way of representing large binary numbers stored and processed inside the computer. One such example is in representing addresses of different memory locations. Let us assume that a machine has 64K of memory. Such a memory has 64K (= 216 = 65 536) memory locations and needs 65 536 different addresses. These addresses can be designated as 0 to 65 535 in the decimal number system and 00000000 00000000 to 11111111 11111111 in the binary number system. The decimal number system is not used in computers and the binary notation here appears too cumbersome and inconvenient to handle. In the hexadecimal number system, 65 536 different addresses can be expressed with four digits from 0000 to FFFF. Similarly, the contents of the memory when represented in hexadecimal form are very convenient to handle. WHAT ARE LCD (LIQUID CRYSTAL DISPLAY) NATIVE RESOLUTIONS? The physical structure of some types of displays, including LCD Monitors/TVs and plasma panels, defines how many pixels can be displayed at once. The display produces the sharpest picture when used at its so-called native resolution. This is the physically number of horizontal and vertical pixels that make up the LCD matrix of the display. Setting a computer display to a resolution lower than this resolution will either cause the monitor to use a reduced visible area of the screen or it will have to do extrapolation. This extrapolation attempts to blend multiple pixels together to produce a similar image to what you would see if the monitor were to display it at the given resolution but it can result in fuzzy images.